The Piedmont region of Italy is well known for its wines. Its Barolo and Barbaresco wines are two of Italy’s best while other wines from the Piedmont, such as Barbera, Dolcetto and Nebbiolo, also have their admirers and market respect. And even the white, lightly-sparking Moscato d’Asti has its charms. And as is the case throughout Italy, where you find good wines you also find good food and restaurants - or is it vice versa?. The Piedmont certainly has its share of wonderful eateries, especially in and around the towns of Asti, Alba and Bra in the province of Cuneo in the west-central part of the region. This is home to some o f Italy’s best restaurants, some of which are decorated with Michelin stars and staffed by celebrity chefs like those holding court in Milan and Turin. While the Piedmont does not lack for luxury dining, the region is also dotted with numerous family-owned and operated trattoria-type establishments serving artisanal, local cuisine in casual surroundings with ever changing seasonal menus. In short, the southern part of the Piedmont is a food and wine lover’s paradise. The Piedmont region is famous for the rare and uber-expensive white truffles (tartufi bianchi) that are harvested every fall season. To celebrate the truffle harvest, every year in October the town of Alba (the unofficial wine capital of the region) hosts a truffle festival where thousands of people converge on the town to buy and sell truffles as well as consume various truffle-infused dishes. Not surprisingly, the truffle festival coincides with various local wine festivals. The truffle festival is great fun. The last time I was in Alba for the truffle festival I had a dish of scrambled eggs with shaved truffles. It was outrageously expensive - but worth every cent! In addition to its mushrooms, the Piedmont also produces some great cow and goat’s milk cheeses as well as pork and salami products. Hazelnuts are a staple in this area and are used in the preparation of some of the Piedmont’s famous desserts such as hazelnut cake (Torta di Nocciole) and Torrone. In Italy food is taken very seriously and nowhere moreso than in the Piedmont. So the Piedmont is a foodies’ paradise and it should be no surprise that people travel to the Piedmont to experience the cuisine as well as visit its world class wineries to sample the wines. Below I have listed my favorite dining establishments in the Piedmont region. There are ten of them and they are all in the west-central part of the Piedmont, principally in the province of Cuneo, the wine-rich province that is the home of Barolo, Barbaresco, Dolcetto, Nebbiolo and Barbera wines, among others. This list includes upscale restaurants with inspired cuisines as well as trattoria-type establishments with authentic and vibrant menus. No trip to the Piedmont region would be complete without visiting at least one of these restaurants. Advance reservations are always recommended. The food destinations are listed alphabetically by name. Guests enter the elegantly appointed restaurant-inn through a tranquil, shaded garden patio. The menu features traditional Langhe cuisine enhanced with modern touches. The restaurant’s preparation of the simple tajarin (rolled pasta noodles) is one of the best I have tasted. Closed Sunday evening and Monday. This nicely decorated, elegant restaurant-inn is in Treiso in the heart of the Barbaresco wine region. The menu features imaginative, modern-style versions of Piemontese cuisine. Some intriguing seafood dishes are also on the menu. The large, open dining room offers an expansive view of the rolling Piedmont countryside and cascading vineyards. Closed Wednesday and Thursday for lunch. Don’t be turned off by the unpreposessing exterior of this restaurant located in the little village of Santa Maria not far from La Morra. Inside is an intimate restaurant serving wonderfully prepared dishes. 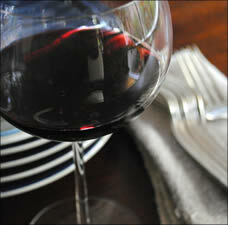 For a small restaurant it has an expansive wine list of Barolo, Barbaresco and other local wines. Closed Wednesday and Thursday. This is a family run, no-frills, down-to-earth restaurant that serves excellent local cuisine. When I was last there, the place seemed to be filled with locals, a good sign. The restaurant has a spacious outdoor dining terrace with a great view of Castello di Barolo as well as the hills and vineyards of the wine country. Closed Tuesday and month of February. Located at the main entrance to the central city, this restaurant has a bright and pleasant interior with a casual and friendly vibe. The offerings include a Menu Degustazione (tasting menu) that is always a good choice. Closed Monday. The restaurant is located in the center of the small, charming hill town of Castiglione Falletto. It has a great view of the surrounding vineyards from its veranda. Chef Maria Cristina Rinaudi prepares elegant dishes of local meats and vegetables while her husband, Angelo, does the meet-and-greet and fine-tunes the wine list. Closed Tuesday. Located in the center of the charming village of Barbaresco, this delightful trattoria resides in the shadow of the village's iconic medieval tower. It offers good, authentically-prepared local specialities that include home-made pasta dishes such as ravioli in a butter and sage sauce and tajarin with a meat sauce. Or when in season, you can splurge on a white truffle pasta. The trattoria has a nice ambiance and low-key but attentive service. And, of course, it has an excellent choice of Barbaresco wines. This is an elegant restaurant in a country setting not far from Monforte d’Alba. The restaurant offers classic dishes of the Langhe region prepared with a refined touch. The sampling menu never disappoints. Closed on Thursday and Friday for lunch and the entire month of February. Brothers Alessandro, Massimo and Tiziano present local seasonal specialties in an elegant but comfortable environment. Closed Tuesday and Wednesday for lunch. Trattoria la Libera is on a quiet side street in central Alba not far from the main thoroughfare, Via Vittorio Emmanuele, which makes it an easy walk from almost anywhere in Alba. Everything on the menu, from the simple handmade tajarin to the enticing veal with caper sauce, is well prepared and excellent. Closed Sunday and Monday for lunch but open every day during the month of October. Note – Information regarding the restaurants reviewed is accurate as of the date of this posting. However, this is Italy and restaurant closing dates can change with little or no notice. My recommendation is to avoid disappointment by making advance reservations by phone, fax or email. For a review of wineries and winebars in the Piedmont region see An Insider's Guide to Tasting Wines in the Piedmont.